You don’t have to be internet savvy to finish most of our online applications in one sitting with your computer. Or, if you prefer, we offer you the options to apply in person at your Social Security office or by telephone with one of our application representatives. Please call 1-800-772-1213 from 7 a.m. to 7 p.m. weekdays to schedule an appointment. You should also call us to schedule an appointment if you wish to apply for certain family benefits, including those for surviving spouses and children, divorced spouses and dependent children, and parents of beneficiaries. After you’ve applied for benefits — whether online, by phone, or in person — you can securely and quickly check the status of a pending claim through your online my Social Security account. If you haven’t created your account yet, you can do so today by visiting www.socialsecurity.gov/myaccount. You can also use my Social Security to view estimates of how much you would receive in retirement benefits and potential disability benefits and how much your loved ones could receive in family or survivor benefits. We’re with you throughout life’s journey, from applying for your first job to receiving your first retirement payment. And we’re proud to help ensure a secure future for you and your loved ones. To learn more about our programs and online services, please visit www.socialsecurity.gov. This entry was posted in Online Services and tagged apply for benefits, benefits, disability benefits, my account, My Social Security, my social security account, my SSA, retirement benefits, Social Security benefits, social security office, ssi benefits by Jim Borland, Acting Deputy Commissioner for Communications. Bookmark the permalink. I, received a letter that I, had been approval for Disability and should wait for a second letter. As of today 6 months no letter. We apologize for the delay, Ruben. Unfortunately, but for security reasons, we do not have access to personal records in this blog. Please contact your local office. If you are unable to visit the local office, you can call our toll free number at 1-800-772-1213. Representatives are available Monday through Friday, between 7 a.m. and 7 p.m. Thanks. Question: Recently my mother (who’s 81 years old) was sent a letter from a SS office that’s a little farther than she would be able to go on her own – but yet we have a closer office that she can go to instead. The issue is that she indicates that she is “assigned” the farther office for her particular needs. Is this true? Can she be “reassigned” to a local, closer office that she can attend without chasing down 3 business lines? Please advise. Thank you! Thank you for your question Vera. Your mother can go to the nearest office and ask our representatives to assist her. She should bring the letter with her to help our agents coordinate and complete any required action, necessary for continuation of her Social Security benefits. To make an appointment or to speak to one of our agents, please call our toll free number at 1-800-772-1213. Representatives are available Monday through Friday, between 7 a.m. and 7 p.m. Thanks you very I apply a few years ago and things work out fine and I did it’s all line. I wish to inquire about the $160.00 Military Service Earnings Credit gratuitously earned by my father – Pfc. Enrique Hapa Entines. Since 16 September 1940 till, at least, 25 March 1945. He was among those who were conscripted on July 26, 1941. By US President Roosevelt Military Order. Hence, the questions: (1) Did he acquire enough earnings credit for SSA benefits for himself, his widow and his seven (7) children? (2) Since he was born before 1930, I was duly informed that he needed only Thirty (30) quarters. And because he served in the very atrocious war that resulted into a lifelong Post Traumatic Stress Disorder (PTSD). Thus he needed only HALF or FIFTEEN (15) quarters. Instead of the required THIRTY (30) earned quarters. May I expect a courtesy answer and proper information. Thanks and more power always for good service. Especially to WAR-Hero-Veterans’ families. For security reasons such answers can not be answered on this blog and for privacy reasons your father’s information can not be given to you. Have your father look into this at the closest office. I will like to express my concern abaut the poor service rendered in the Kissimmee, Florida. District office. When you call, there is no response. If you leave a message they never return the call. If you mail any document via certified mail, and time after you request status of said documents they alleged they never received them, even though you have evidence of the return receive stamped by the ssa office. If you try to personally visit the office most of the time is closed for the public. Offices publish the times they are open to the public. Go during that time. They do not accept photo copies. Our offices are open to the public on Mondays, Tuesdays, Thursdays and Fridays from 9:00 a.m. to 4:00 p.m. Every Wednesday at noon, offices are closed to the public so that employees have time to complete current work and reduce backlogs. Representatives at our toll free number (1-800-772-1213), are available Monday through Friday, between 7:00 a.m. and 7:00 p.m. Many services are conveniently available at our website 24/7. Thanks! Please accept our apologies, Gloria. Our field offices are open to the public on Mondays, Tuesdays, Thursdays and Fridays from 9:00 a.m. until 4:00 p.m. Every Wednesday at noon, offices are closed to the public so that employees have time to complete current work and reduce backlogs. Remember that many services are conveniently available anytime at our website. Also, individuals can create a personal my Social Security account to get general information about our programs or manage their Social Security benefits. Generally, when calling our toll free number at 1-800-772-1213, you will have a shorter wait time if you call later during the day or later during the week. Representatives are available Monday through Friday, between 7 a.m. and 7 p.m. We have referred your complaint to our operations staff to follow up and to take corrective action as necessary. We appreciate your feedback, and thank you for bringing this to our attention. This sounds just like the SSA office in Rockville, MD. And just like the SSA office in Silver Spring, MD. And just like all other SSA office! When you vote for “less government” that is precisely what you will receive. Many offices have closed and many more are severely understaffed. Sorry if somehow voters thought less government would apply to anyone else and they would be unaffected. Congress has consistently under-budgeted the agency despite your years of paying taxes for the service they refuse to provide you. This is a political problem imposed on federal agencies. Possibly the “government” can eliminate some of the ridiculously repetitive paperwork! Hi, Ray I aploy for ssi on line.now i have an appointment for 07/20/2017 please tell please what i need to bring to my interview.at that day. Bring your medical information with you. Bring in evidence of your income and resources such as your bank records. Thank you for contacting us Lesly. Please visit “Understanding Supplemental Security Income – Documents You May Need When You Apply” for that information. If someone is reported deceased on Social Security’s records, that person, under ANY circumstances must show up in person at any local SSA office so that they can prove they are still living. They would need a state I.D. , drivers license or U.S. Passport to prove their identity. Generally, Social Security is able to get a translator for almost any language but if you would like, you can accompany him into the local Social Security office and translate on his behalf. Nobody can or will fix this from Social Security by e-mail or telephone. This is an occasion that MUST take place at a face to face interview. You’re right on target Jeff! Thank you for your comment and support. Hi Monette. Please remember, never post personal information on social media. Also, keep in mind that Social Security records are confidential and we do not disclose information, unless we have proper authorization or consent. To correct his Social Security record, your brother in law must visit the local office as soon as possible. He will need to provide us with at least one piece of identification, such as a driver’s license, passport, employee or school identification card. You can accompany him and assist with translation. Thanks! I just got my naturalization as a US citizen. During the Oath ceremony, I had a change if name. So at this point, what do I need to do? Should I expect a new SS card to be mailed to me automatically or I should come to the office? Also, if I have to come to the office, can I walk-in or only by appointment? Lastly, if I have to give NY proof of my naturalization, will my proof be returned to me the same day or kept until a different day.? You would want to apply for a new Social Security card, so that the Social Security Administration can update your citizenship on their records. Also, if you have changed your name, you will want to apply for a corrected replacement card for change of name and citizenship. Bring in proof of your name change, so that Social Security can change your names on their records. You will also need to identify yourself, this can be done with a drivers license state I.D. or passport. Last but not least, make sure you have your citizenship documentation, proving that you have become a U.S. Citizen. SSA does not make appointments, under any circumstances for someone to apply for a Social Security card. You can apply on a walk-in basis. If you apply by walk-in and you do not mail your documents in, Social Security will verify your documents and hand them back instantly. Your documents will not be out of your possession for more than a few minutes if you walk-in and apply. If you send in your documents by mail to get a corrected replacement card, you should expect them back in about 7 to 10 business days after you mailed them. Congratulations Mimshach! You will need to visit your local Social Security office or your local Social Security Card Center to update your Social Security record. Please bring with you, your Certificate of Naturalization (with the attached affidavit that reflects your legal change of name), and complete an application for a replacement card. All documents you submit must be either originals or certified copies by the issuing agency. We cannot accept photocopies or notarized copies of documents. Any documents you provide will be returned to you. Some of our offices do offer walk-in appointments; however, these appointments are on a first come, first serve basis. You can call our toll free number at 1-800-772-1213 for further assistance. Representatives are available Monday through Friday, between 7 a.m. and 7 p.m.
My question is I have mental and physical issues but I haven’t seen a doctor in years so how would I go about applying if I haven’t seen a doctor and I have no insurance to see a doctor. Plus I haven’t worked a full time job in a few years. So I’ve been told I can’t get SSI. NEED HELP! Hi Gina. We pay disability benefits through two programs: the Social Security Disability Insurance program (SSDI) and the Supplemental Security Income (SSI) program. To qualify for SSDI benefits, you must have worked long enough and recently enough in jobs covered by Social Security (usually within the last 10 years). The SSI program is a needs based program that gives cash assistance to disabled individuals with limited income and resources. We pay disability benefits to people who are unable to work because of a medical condition that is expected to last one year or more or to end in death. However, if a person thinks that he or she meets our definition of disability, we encourage them to apply for disability benefits when they become disabled. You should not delay applying just because you do not have certain documents or lack medical reports. We will help you get them. Please call us at 1-800-772-1213 (TTY 1-800-325-0778) between 7 a.m. to 7 p.m., Monday through Friday if you need further assistance. Generally, you will have a shorter wait time if you call later in the week. For more information visit our “Frequently Asked Questions” web page on disability. Thanks! when i turn 62 in the month of November do I receive payment for that month or do my benefits start in December? When would i receive my first check and can i continue to work through the end of 2017 without any penalty or must i quit working entirely to apply for benefits? Would i also be able to continue to work in 2017 as long as I am below the amount of $16,000 without losing my payment for retirement. Thank you for contacting us Cheryl. To begin receiving reduced retirement benefits at 62, you are required to be age 62 for the entire month. For SSA purposes, individuals born on the first or second day of the month are considered age 62 for the “full” month and could be entitled to benefits for the month of their 62nd birthday. Retirement benefits are paid the month after they are due. So, for instance, if your want your benefits to begin with the month of December, you will receive your first benefit payment in January. The exact payment date is determined by your date of birth. You can still work and receive your Social Security retirement benefits at the same time. However, if you apply for benefits at age 62, and work part-time thereafter you will be considered “retired” only if your monthly earnings are $1,410 or less. For more information, visit our Retirement Planner: Getting Benefits While Working and read our publication: “How Work Affects Your Benefits”. If you have additional questions, please call our toll free number at 1-800-772-1213, Monday through Friday between 7 a.m. and 7 p.m. and talk with one of our representatives. I got a Disablity why is it that I cannot get my befits back I drew a Disablity check when I was a child and now I’m 37 years old in worst shape now than then . I have a bone deficiency just had knee replacement in jan17 . I have osteroposis and ptsd ,depression,anixty and asthma I had two surgery on my right wrist and still get no funds to lib e on. Do I need my birth certificate when I apply for Social Security Retirement if I have my U.S passport, drivers license, and my original SS card? If I do need my birth ceryificate, can Social Security obtain it for me? How soon should I request this assistance if I am eligible in the middle of next year (2018). Hi Jim. Our system is set up to take applications three months in advance. We recommend that you don’t delay signing up for your Retirement Benefits, even if you don’t have all the documents you need. In many cases, your local Social Security office can help you get the information you need. You can create a My Social Security account to review your earnings record and get an estimate of your future benefits. Happy planning! contributions to qualify for retirement. I also know that the agreement must be signed for both countries to go into effect. My question are: how long this process coultd take to be signed up? 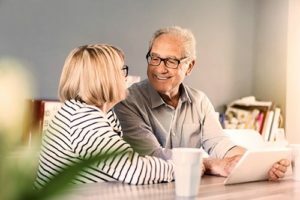 Should I wait until that law pass through the sign in process in order to apply for retirement and get a better retirement plan? I ealready made 15 years contributions in Uruguay plus the working years in USA. Hi Ruben. For information on the recently signed, International Agreement between Uruguay and the United States, please read the section “The Americas” in our publication International Update. Thanks! I am tring to get my starded. I do needed move information on and all i need to get my disabled stard up and how long it going to take. Hi Llinell. Typically, you can expect to hear a decision on your disability claim in three to five months after you submit your application. However, this can vary depending on the nature of your disability, how quickly we obtain medical evidence from your doctor or other medical source and whether it is necessary to send you for a medical examination in order to obtain evidence to support your claim. See our Disability Determination Process for more information. Disability Benefits are paid to people who are unable to work because of a medical condition that is expected to last one year or more or to end in death. We pay disability benefits through two programs: the Social Security Disability Insurance program (SSDI), and the Supplemental Security Income (SSI). SSI is a needs based disability program that pays benefits to people with limited income and resources who are disabled, blind, or age 65 or older. The SSDI program provides benefits to insured disabled or blind adults covered by workers’ contributions to the Social Security trust funds. If you feel that you meet our definition of disability, you can apply online. We hope this information helps. If I am still employed after I turn 65 do I have to sign up for medicare and social security when I turn 65? I appreciate the convenience of being able to apply for benefits online. However, what really needs updating is the speed of determining benefits for applicants. I know there are certain applicants that get an almost immediate approval because of their medical diagnosis. New applicants have to go through reviewing. But what if you’re receiving disability benefits on one record, such as a parent but also qualify for benefits on your own record so you apply. This is my current situation. My disability benefits were reinstated on my deceased father’s record in April. In July I applied for benefits on my own work record. I am not working and I can’t tell you why I didn’t apply for them when I applied to have my benefits reinstated. It really didn’t occur to me to do so. After finally hearing back from my DDS after a week I got no real information when asking her. I was told my application is only 60 days old. There was no indication of when there might be a determination. It seems like because benefits are already being issued a new claim wouldn’t be subject to the standard wait period. I’m presently receiving my social security benefits,and I have a question my husband just recently started receiving his’s social security benefits and he can still work his regular job at the V.A. with no limintations, I was wondering can I draw off his retirement too.? Thank you for your question, Lou. You may be eligible to collect benefits on your husband’s record. Remember, if someone is eligible for both, his or her own benefit and for benefits as a spouse, we always pay their own first. If their spousal benefits are higher than their own retirement benefits, he or she will get a combination of benefits equaling the higher spouse benefit. Also keep in mind that the maximum benefit you can receive as a spouse can be equal to one-half of your husband’s full benefit amount, only if you start receiving benefits at your full retirement age. If a person begins to receive benefits at age 62 or prior to their full retirement age, their benefits are reduced. The reduction factors are permanently applied to all of the benefits the person may qualify for. To see if you qualify for a higher benefit than what you are currently receiving, contact your local office or you may call our toll free telephone number at 1-800-772-1213, Monday through Friday, between 7 a.m. and 7 p.m. and ask a representative to assist you. We hope this information helps! Como valora la S.S. La Fibromialgia en este momento. For Social Security information in other languages, please visit us at http://www.socialsecurity.gov/multilanguage. Thanks! Am I correct in reading that at current age 65 I can receive 46.3% of my spouses benefit? He has been receiving benefits already and mine at FRA would be far less than the percentage of his. I am ready to submit application now if this is the case. Thank you. At the age of 66 would I be able to get additional social security from my husband who is 70 as an extra income? It won’t effect what he gets every month? Hello Darlene. Generally, during your initial interview to apply for Social Security benefits, we typically explore other possible eligibility that could yield you a higher benefit amount. Remember, if you qualify and apply for your own retirement benefits and for benefits as a spouse, we always pay your own benefits first. If your benefits as a spouse are higher than your own retirement benefits, you will get a combination of benefits equaling the higher spouse benefit. To find out if you are eligible for a higher benefit and to discuss your options, contact us at 1-800-772-1213 between 7 a.m. and 7 p.m. Monday through Friday or visit your local Social security office. Thanks. I have been on the phone for over two hours today waiting for someone to come on the phone. Am attempting to apply for Part B and/or set up an appointment at my local office. This has been an extremely frutstration situation. I did get through at one point and my call was dropped. When do I get my first check when I apply and my birthday is 10/13? Do I get to draw off my ex husband if we were married 10 yrs and I have not remarried does he have to be 62 to do so? Hello Greta. Social Security benefits are paid the month after they are due. So, for instance, if you want your benefits to begin with the month of November, you will receive your first benefit payment in December. Please keep in mind that in order to start receiving your benefits at age 62, you have to be 62 the whole month. Also, when you apply for your benefits, we will also check to see if you are eligible for a higher benefit amount on any other record. If you qualify for both your own retirement benefits and for benefits as a spouse, we will pay your own benefits first. If your benefit as a spouse is higher than your own retirement benefits, you will get a combination of benefits equaling a higher amount. Your ex-spouse must be entitled to Social Security retirement or disability benefits. However, if your ex-spouse has not applied for retirement benefits, but can qualify for them, you can receive benefits on his record if you have been divorced for at least two years. See our “If you’re divorced” for more information. Need to know how to change my bank for deposit of my social security monthly check. Hi Jesus. Thanks for the question. If you’re receiving Social Security benefits (retirement, survivors, or disability), you can start or update your direct deposit information by using your personal my Social Security account. My back pain did not allow me to continue my seasonal job. My bending and stooping is painful. What do I do now. Hello Don. The Social Security Act sets out a strict definition for disability. We pay disability benefits to people who are unable to work because of a medical condition that is expected to last one year or more or to end in death. However, if a person thinks that he or she meets our definition of disability, we encourage them to apply for disability benefits when they become disabled. Thanks. I called to try to get some information on applying for benefits but the staff person was so rude that he actually hung up on me. He stated that he did not have enough detailed information to give me answer and i told him that i don’t know and that is why i was calling. I asked to speak to his supervisor and he said many staff were at a party as many people were retiring!!! I could not believe what he said. I was a state employee and never would answer anyone like that. He kept on asking questions and was not one bit patient. He did not seem like he wanted to help me at all. Sometimes having a print copy of the entire application is helpful/necessary. I have been searching for a PDF file of the application for retirement benefits to no avail. I am not ready to enter responses online as I would like the print copy to prepare. How do I get one? Hi Mark: See our Frequently Asked Questions web page for information on how to retrieve or change your password. If you encounter a problem, you may call us at 1-800-772-1213 (TTY 1-800-325-0778), Monday through Friday from 7 a.m. to 7 p.m. At the voice prompt, say “helpdesk”. I would like to schedule an appointment to review my social security benefits. My full retirement age will be on my birthday in about 2 weeks. Early morning appointments work best or afternoon if i may have some options please. Hi Deborah, thank you for using our blog. To make an appointment, call our national toll free number at 1-800-772-1213. Representatives are available from 7 a.m. to 7 p.m. business days. However, keep in mind that many of our services are conveniently available anytime at our website. We encourage our customers to create a my Social Security account. With a personal my Social Security account, you can get estimates of your retirement, disability, Medicare and survivors benefits, review your earnings record and much more. In addition, Social Security has an online calculator called a Retirement Estimator that provides immediate retirement benefit estimates based on your actual Social Security earnings record. Plus, it also allows you to create “what if” scenarios. You can, for example, change your “stop work” dates or expected future earnings to create and compare different retirement alternatives. See our Benefits Planner: Retirement web page for more retirement planning information. How long is the process between applying for early retirement at 62 and receiving benefits. Hello Cheryl. Our system is set up to take applications four months in advance, and you can apply for your benefits online. Keep in mind that benefits are paid the month after they are due. So, for instance, if you want your benefits to begin with the month of June, you will receive your first benefit payment in July. Please visit our Social Security Retirement Planner for more information. We’re sorry that you had difficulty reaching someone by phone, Victoria. We may have been experiencing higher than normal call volume. Generally, you will experience a shorter wait time if you call us later during the day or later in the week. Representatives at our toll-free number, 1-800-772-1213 (TTY 1-800-325-0778), are available Monday through Friday, between 7 a.m. and 7 p.m.
We currently do not have an online appointment scheduler. However you do not need an appointment to file for benefits. You can apply for your Retirement Benefits online. Just a reminder – We do not have access to personal information, therefore, we do not do provide direct assistance in this venue. Please be cautious about posting personal information on social media and communicating personal information via email. Thanks! i would like to apply for social security due to a disabilty i have severe arthritis and backaches. appointment, but no one ever answers the phone to reschedule my appointment. Please help. I want to start receiving benefits at my FRA which will be in June 2019. When is the earliest date I can apply? Hello Steven. Our system is set up to take applications four months in advance, and you can apply for your benefits online. Keep in mind that benefits are paid the month after they are due. So, for instance, if you want your benefits to begin with the month of June, you will receive your first benefit payment in July. Please visit our Social Security Retirement Planner for more information. If you do not want to apply for benefits online, and you’re unable to make an appointment, you can visit your local Social Security office. Be sure and check out their office hours. Hi, Sylvia. If you do not receive your payment on the scheduled pay date, please contact your bank or financial institution first. They may be able to determine why your direct deposit failed. If you still need to report a late, missing, or stolen Social Security payment, call us toll-free at 1-800-772-1213 or contact your local Social Security office. We will review the case and if the payment is due, we will replace it. Thanks. Do I qualify to receive spousal benefit on my husband? He is 68 and retired. I am 63 and receive disability. Hi Lynda, thank you for using our blog to ask your question. We will always pay a person’s own retirement or disability benefit first. If benefits as a spouse are higher than their own benefits, they will get a combination of benefits equaling the higher spouse benefit. However, keep in mind that a spouse’s benefit cannot exceed one-half of the worker’s full retirement amount (not their reduced benefit amount). So, a person is only going to receive additional spouse’s benefits if their own full benefit is less than half of their spouse’s full retirement benefit. make scheduling an appointment at a local social security office online easy to do. Hi Sally, thanks for using our blog to ask your question. Please use our Office Locator to locate your local office address, including their office hours, a map and directions. You do not need an appointment to drop off requested documentation. I wanted to apply in person and set up an appointment but the office in Mt. Prospect Il does not have a direct line OR allow you to make an appointment. If you do not want to apply for benefits online, or you need to speak to us for any other reason, you can schedule, reschedule or cancel an appointment by calling us at 1-800-772-1213 (TTY 1-800-325-0778) between 7 a.m. to 7 p.m., Monday through Friday. How soon can I receive my benefits for age 63, if I apply after my 63rd birthday. Will I get the back pay for 63, for the months I skipped, because I was late in applying. Hello Robert, please bear in mind that the decision on when to apply for benefits is a personal one. We only provide you with the information you need to help you make the best choice according to your own situation. As to your particular question, you will not be paid “back pay” for the months you skipped because you applied late. If a worker begins receiving benefits before his/her normal (or full) retirement age, the worker will receive a reduced benefit. A worker can choose to retire as early as age 62, but doing so may result in a reduction of as much as 30 percent. We have a variety of calculators to help you plan for the future. Which calculator you choose depends on what you want to do. You can also create a my Social Security account to verify your earnings, get your Social Security Statement, and get an estimate of your future benefits. We hope this information helps!